Don’t forget to check out our Monthly Features! You will find experiences that focus on special holidays & the changing seasons! En Vogue Day Spa Gift Certificates make a great gift for any occasion. Whether it is someone’s birthday, a special teacher/co-worker or just because. Pamper yourself while celebrating friendship! Birthdays! Splurge! Baby Shower! Wedding Shower! Retirement! Just Because! Check out our list of alcohol and non-alcohol beverages to enjoy while you spa! We truly APPRECIATE YOU, our client & want to say THANK YOU! En Vogue has been a proud member of the Leading Spas of Canada since the 1990’s. Being part of the organization ensured that we were part of the new and exciting spa industry and more importantly to provide the safest care to our clients. En Vogue owner Patricia Cassell-Ogilvie joined the National Board of Directors of the Leading Spas of Canada in 2011 to 2014 to be part of the ongoing development of the spa industry and safety in Canada. Spas from across the country have distinguished themselves amongst the most elite in Canada by successfully completing the Spa Industry Association of Canada’s rigorous Quality Assurance Program. Safety and hygiene standards have become vital, key concerns over the past few years, as the popularity of spa treatments has grown. There is no federal government regulation for the Canadian spa industry. Many provinces require little, if any licensing at all for spa practitioners – especially hair, skin, and nails. 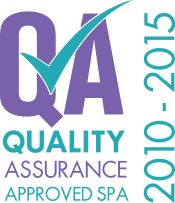 The Quality Assurance Program, the only national program of its kind in the Canadian spa industry, is designed to demonstrate to consumers which spas exceed industry standards and best practices. The spa industry has come a long way from early images of women sitting in a tub of mud sipping on cucumber water. The spa lifestyle has arrived and visiting a spa is no longer seen as a luxury, but as a necessary part of a healthy lifestyle. The realization of spa as an attainable and important way of life can be attributed in part to the work of the members of the International SPA Association. ISPA is one of the most recognized voices in the industry. With members in more than 70 countries, ISPA advances the spa industry by providing invaluable educational and networking opportunities, promoting the value of the spa experience and speaking as the authoritative voice to foster professionalism and growth. We are all so busy with life, family, work and a million other commitments. When a need arises for a product or service and you can’t think to contact where do you turn? Perhaps the Regina and area business you select randomly yourself will let you down. Trustedregina.com is here to save you time, save you hassle and save you money. Our local Trusted team does the research for you and ALL the businesses featured on our Regina directory have been checked, verified and are annually contracted to uphold the 5 TRUSTED GUARANTEES of service! See more at: http://www.trustedregina.com/blog/page/why-trusted.aspx#sthash.rhD5hgGD.dpuf Living in a rapidly growing city like Regina can present it's challenges, with new businesses springing up all the time and existing businesses getting busier standards can and do suffer. Sign up to learn about our monthly promotions.